Home › Health › Should You Hire a Personal Trainer? No matter which gym you belong to, you’ve seen them. The glossy signs, postcards, e-mail blasts, Facebook and Twitter posts, and straight up soliciting that gyms do in order to pimp out their personal trainers. I’ve always kind of pushed past them, given that they usually come with a hefty price tag (usually about $80 per session). Paying my monthly gym membership means I’m barely holding my head above water most of the time, thank you very much. Friends of mine have used trainers to prepare their bodies from everything from their wedding day to strenuous and physically demanding events like the Tough Mudder or Spartan Race. Recently, a friend of mine told me that she signed up to meet with a trainer at her local gym once a week to help keep her on track with her diet and exercise plan. People really do use personal trainers. I see them every time I’m at the gym, accompanying an apprehensive member through the floor, speaking in encouraging tones, helping them get situated on the machines. I’ve only had two interactions with trainers and both occurred right after I joined each of the two gyms. Apparently it’s expected that new members get a complete fitness evaluation with a certified trainer, in order to set goals, ask questions, learn about what the gym offers, etc. My first evaluation at Club Fit went pretty well. The trainer weighed me, took my body fat percentage (not something I’d recommend if you don’t feel like flushing your head down the toilet), and asked me to perform a series of physical activities in order to gauge my level. She was patient and kind, and even went so far as to do the pushups with me. At the time, I was in high school, was much more shy than I am now, and didn’t really have any feasible goals in mind. I just knew I needed to lose weight and start exercising, and I figured going to the gym was the logical solution to those two issues. But I didn’t really have any motivation, because I hadn’t had any experience with exercise before — that is, gym exercise, not the hiking and biking that was forced upon me throughout my upbringing. Needless to say, I quit that gym fairly quickly, especially after I decided to try my first spin class, but failed to sign up, resulting in a horribly awkward and embarrassing experience. I entered the room and sat on a bike, and before I knew it, a man in full spin-gear came up behind me, saying “That’s my bike! Did you sign up?” I kind of mumbled a reply before tearing out of the room in tears and never returning. I was much more sensitive at that point in my life than I am now. When I met her, I was surprised to find that she didn’t weigh me or measure my body fat. She asked me if I had any health problems and asked what my goals were. She then took my blood pressure using an automatic cuff. When the reading came back higher than normal, I told her that I thought the machine was a bit off. I had just been to my doctor and my blood pressure, as usual, was a steady 98/60. Her number came up as 120/70, which I knew was wrong, but that she just shrugged it off. We then proceeded to take a walk around the gym and start my fitness evaluation. After noting my resting heart rate, she had me perform a series of step-ups on a small platform. When I finished, she took my heart rate again, thereby measuring my fitness level. My score was the equivalent of a “needs improvement” on your report card. I was surprised, but figured she had to be right — after all, she was the professional. After that, she had me use some of the machines such as the chest press and the lat pull down. She had me start with 15 lbs, which I told her didn’t really shake me, but again, she just said to keep it up. I know a little bit about weight training, and from what I understand, you’re supposed to really feel like it’s hard to continue after 8 repetitions. I didn’t feel that with this, but I just went along with it anyway. During this time, she didn’t seem particularly interested in what we were doing – she was kind of looking around and acting bored. That really got on my nerves. At the end of my evaluation, she said that the gym was currently offering a special deal now — if you sign up to work with a personal trainer, it’s only $70 per session. She continued to try to sell me on it, saying that what they taught me would never get old and that it would be worth the time and money for me. I must have misunderstood, because I thought that this complimentary session was supposed to do just that — give me some pointers to start out with so that I could develop a fitness routine. At this point I was kind of annoyed by the whole thing and just wanted to get the hell out of there. I was doubly pissed off because I had to miss a spin class in order to meet with this trainer. My time would have been better spent burning some calories rather than spending time with this girl who was acting like I was wasting her time and that she was working on commission for the gym’s personal training service. This brings me back to my original question – should you hire a personal trainer? I think it depends on your goals. My personal opinion is that if you have an event (wedding, marathon, race, etc.) that you are preparing for — or, if you have a specific need (post op, postpartum, injury, etc.) then it might be in your best interest to hire a personal trainer. Because most group fitness classes are not tailored for such needs. Trainers will usually ask at the beginning of a class if anyone has an injury or an issue that needs to be addressed, but there’s only so much modification to be done. Plus, an instructor can’t really give the individual attention that you deserve when they are busy watching 20 other students. Similarly, if you are a triathlete and you already bike 50+ miles over mountain terrain but are still looking to up your game, a 45 minute spin class really won’t help you much. I once had a girl in my spin class who was a mountain biker and who would, for lack of a better term, show off by continually making remarks about how hard mountain biking was and that you don’t really have to worry about over-exertion during a spin class. How she could look me in the eye and say this was beyond me, given the fact that I always look like Keith Moon after Live at Leeds after spinning, and I’ve been doing it for 3 years. I know that they have special establishments that will work with bikers in an environment that simulates a competitive race. Clearly something like this would be more beneficial for her, instead of her coming to our class and acting like we’re a bunch of glue-eating losers. I know that there are great personal trainers out there who have tons of experience working with special cases. I know because I’m friends with some of them. Most of them love what they do and are kind and patient, and really want to help you, not embarrass you. Then there are those other trainers. You know the ones I’m talking about. The young guys with pecs bigger than mine who look at themselves in the mirror while they walk the floor with their clients. The Jillian Michaels wannabes who scream at the poor, fifty-pounds overweight girl who is on the floor struggling to do push-ups – with a completely incorrect form, to boot. The clique of young women who look like they’re still in high school who parade around, eating coffee and chatting with each other while wearing as little clothing as possible. What I find possibly the most disturbing is that I often see personal trainers making their clients do the most cockamamie routines: stand on this balance ball and bench press using free weights, then get off and do 15 jumping jacks, then get back on the ball and try it while holding one leg in the air. Okay, maybe I’m exaggerating. But I can’t help but think, for the most part, that most of these people are never going to continue this routine once they stop meeting with their trainer. If most people are like me, they’re looking for simple routines, things they can do at home or in a hotel room — not some grandiose form of fitness showmanship. I know that you know them, too. These are the weak links – the trainers who make you never want to give your fitness establishment another dime of your hard-earned money. And if your gym is made up of people like this, I’d say save your money and do some time researching fitness and health on your own. The internet is your friend. The library is your friend. Anyone with internet access has instantaneous access to thousands of reputable websites listing exercise ideas, recipes, and general health information. Check out Bodybuilding, Fitsugar, Prevention, WebMD, and Women’s Health. Public libraries have a wealth of information on fitness and exercise. You can easily create your own workout regimen, and even download free apps to use at the gym or at home. 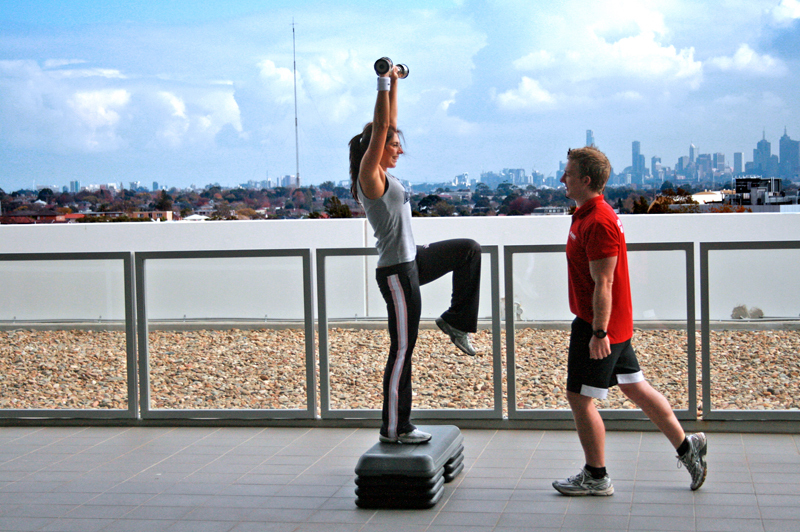 So, what are the benefits of hiring a personal trainer? 1) A sense of accountability and motivation. If you’re the type of person who won’t go to the gym unless someone is waiting for you, then hire a personal trainer. Not only will they be waiting for you, but they’ll know if you’ve been slacking off. Personally, I find that I glean the same benefit from my group exercise classes. Whenever I’m put in a teacher/student situation, I always aim to impress my teacher — it’s just who I am. So if I overeat and slack off, I’m going to feel pretty crappy about myself the next week when I’m huffing and puffing in my spin class instead of cruising along like I should be. 2) You’re not in it alone. I have a friend who recently joined a gym and signed up to work with a personal trainer for an hour twice a week. For the first half an hour, the instructor watches her while she performs her cardio work, either on the treadmill, elliptical, or stairmaster. Personally, I would hate that, and I would consider it a waste of money. However, some people really like to have a “friend” at the gym who encourages them as they work. There is something nice about knowing that you have a partner who will be waiting for you each time you go to the gym. 3) New fitness routines and education on health and nutrition. 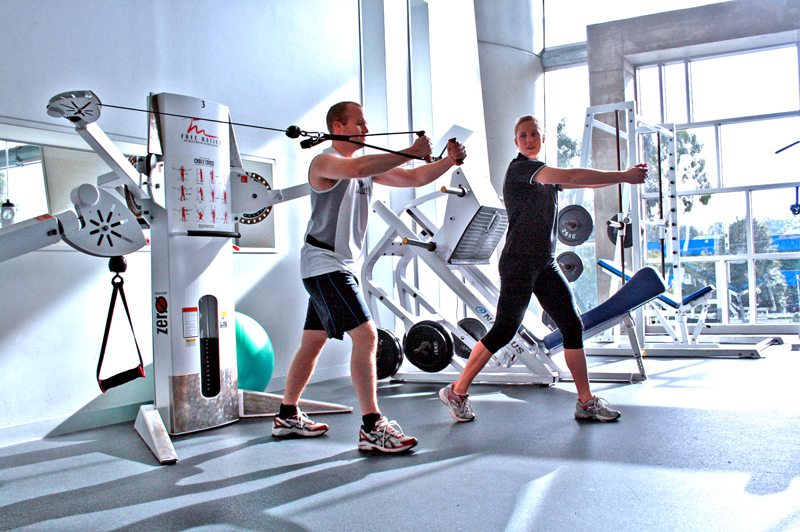 Personal trainers seem to have an unending catalog of exercise routines and moves in their repertoire. If you say, “I want to work on my triceps” or “I don’t like the way my calves look,” they have the training and experience to know exactly how to guide you. Most of them are also knowledgable about food and nutrition, but not many. Before you start taking what they say as scripture, make sure they have credentials. I hear a lot of trainers throwing their weight around in the unsolicited advice category without the authorization to do so. If you want to know, ask — are they a certified Nutritionist? Dietician? Health coach? As a vegan, I can tell you that most trainers would not be helpful to me, given the fact that their first suggestions are usually “up your protein with lean chicken, egg whites, turkey, and whey protein.” I’ve actually asked nutritionist for suggestions on what to eat post-exercise and all they’ve done is given me links to websites that I could have Googled myself. However, if you are completely new to healthy eating, they will be able to give you some pointers. As I mentioned earlier, you can find a trainer who will work with you if you are a special case. I know that some have more training than others and know, for example, how to successfully train someone who has just had major surgery, or who has Parkinson’s disease. If you have any physical limitations or you are looking for event-specific training, hiring a personal trainer is likely the best way to help you reach your goal. This is probably the most beneficial part of working with a trainer. If you find a certain routine online or in a book, it’s still hard to perform it correctly unless you have someone watching you. Not only is this ineffective, but it can also be dangerous. Personal trainers can help you make the most out of every repetition – and generally, once you learn it, it will become muscle memory, and you will be able to perform it effectively for years. 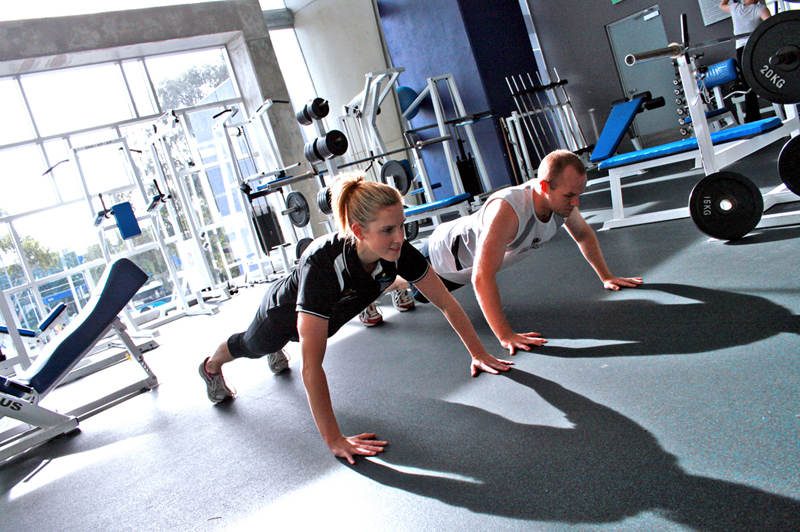 Have you worked with a personal trainer and had success? Or do you think it’s a waste of time and money? You broke this down well! I think the answer requires some self-knowledge and reflection. If you are highly self-motivated and knowledgeable, a trainer is an unnecessary expense. But the right trainer can also be a great driving force. My wife and I are on opposite ends of this spectrum. I like working out just because I like working out (rather than having a particular goal in mind) and I’ve done some research from different websites. I don’t even go to the gym anymore because I bought a power rack with pullup bar and a 300 lb Olympic weight set (all from Craigslist) for the cost of a year’s membership. Kristin, on the other hand, won’t workout unless she has someone guiding/pushing her. She’s very fortunate to have found just the right trainer for her at NYSC. I’ve been in there once and I know exactly what you mean– “pushing the product” of training rather than offering a resource. Thanks, Adam! I’m friends with one trainer who really is great – knows a lot about the field, has different certifications, and just a great overall spirit. But I really question whether or not some of them are qualified to tell people what they tell them. And in our culture of Biggest Loser type workouts, I worry that some people could do serious damage by jumping in too hard too soon! It all depends on your personality, too — I’m an introvert so exercising for me is my “alone” time – before work, just me and my playlist, unless I’m taking a spin class. I really don’t want to worry about making smalltalk with someone, but for others it’s really a great motivation. You guys seem to have found a good balance! thanks for reading, Adam! I appreciate your comments!